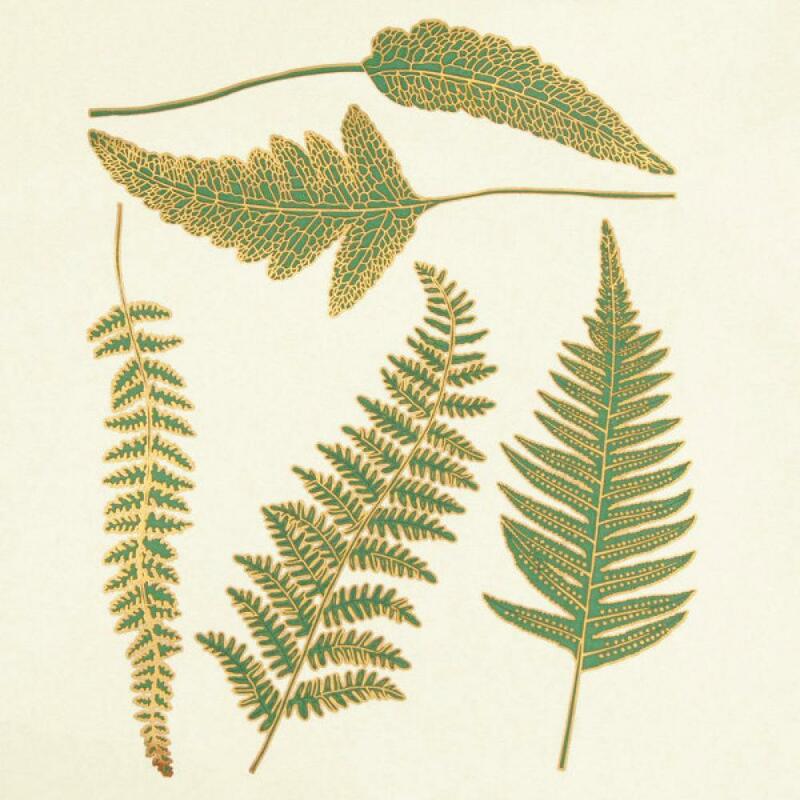 One 5.25" x 4" sheet with 5 fern decals approximately 4" large. These decals have a firing range of 1240-1450, depending on finish. Manufacturers suggested firing schedule: 100 DPH to 185 degrees HOLD/SOAK 30 min. 200 DPH to 600 degrees HOLD/SOAK 15 min. 600 DPH to 1000 degrees HOLD/SOAK 10 min. 1000 DPH to 1240 - 1350 degrees (1250 - 1450 for metallic decals) HOLD/SOAK 10 mins. Anneal for the thickness of the glass.